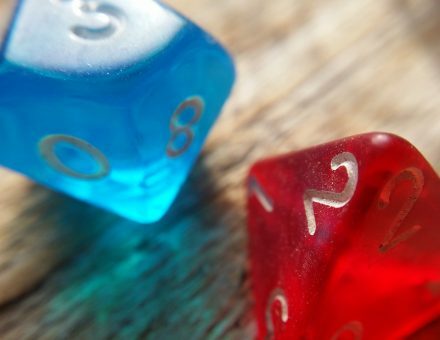 If you’re a serious and dedicated Dungeon Master or another sort of RPG gamer, then you probably have a lot of precious and delicate gear. So when you’re getting ready to move, you need to plan well ahead of your relocation date on how to move your game pieces successfully from your old place to your new one. Here’s how to make sure that your moving campaign is a successful one. Do your best to keep all of your gear together during the move. If you randomly throw pieces into various boxes, you may lose them. Someone else may not notice the small card box you loosely wrapped in newsprint and accidentally throw your deck in the trash. One option is covered rubber or plastic totes. Choose the sturdiest, lockable totes you can find to carry your collection. And try to keep the tote’s weight to under 30 pounds for ease in carrying your gear. You can also pack less robust totes in sturdy cardboard boxes with plenty of padding. Never partially fill cardboard boxes, since they’re more likely to cave in and tear open. Pack heavier items and cased items on the bottom of the box over a layer of bubble wrap or another type of cushion. Layer the items from heaviest to lightest in the box, leaving room for a layer or two of cushioning. And make sure the cushioning fills the space between the top layer and the box flaps. The packing tips above are not enough to keep delicate figurines and game props from losing limbs and heads. The last thing you want to see when you unpack your favorite piece is a crumbled head or sheared-off wing. If you’ve saved the original packing from your figurines, use the boxes to repack the items. Be sure you have all of the packing materials, including any plastic shields molded to fit against the pieces. Tape the individual boxes shut once repacked. The original packaging, when properly packed and cushioned in a box, should protect most figurines. When you don’t have the original packaging, you might wonder how to move your delicate figurines. Use specialty cases lined with foam inserts to reduce the chance of breakage. Gaming stores and suppliers sell these items. You can also make your own foam inserts with foam pieces from a craft store, but the process is time-consuming and messy. All of these cases can make great budget cases for figurines, dice, weapons, and beads. It’s also easier to cut individual foam inserts for the divided sections in the trays than it is to create your own multi-compartmented foam inserts. Weather conditions can throw a wrench in your plan for how to move your equipment. Due to extreme weather and air quality in some locations, excess moisture, dust, and grime can coat your cards and gear, even if you transport your gear yourself. So you need to make sure you take the proper precautions to protect your gear from any harsh weather. Protect cards with proper card sleeves to reduce the chance of warping or molding in storage. You can also use card albums placed in large zippered storage bags. Books, mats, and other paper items should be placed in plastic protective bags too. Once you have moved, remove all of the items from bags as soon as possible to let your gear air out. Wrap items in plastic or tissue to reduce dust damage in a long-term storage environment. Seal large totes in lawn bags where it’s dusty to keep the whole collection clean. It’s best not to seal up items in moist environments unless you place a desiccant pouch in each bag to help reduce mold formation. Take the time to label bins, totes, and cases so you can find what you need the next time you play. You can choose from a variety of ways to organize decks, tokens, chips, mini-figurines, and dice, depending on your personal DM style and the rules of your gaming sessions. Use notebooks, label-makers, and other tools to manage your organizing efforts. Create a database on your phone or device to help you keep D&D items straight after you develop your system. Create a separate box or case for current campaigns so you don’t need to hunt for maps, tracking markers, and other pieces every time the gang’s getting together. You’ll be so glad you’re organized once you get settled into your new home and invite people to join your gaming sessions. Contact Wheaton World Wide Moving today to schedule your move. We pack fragile items and provide sturdy packing materials for DIY packing.